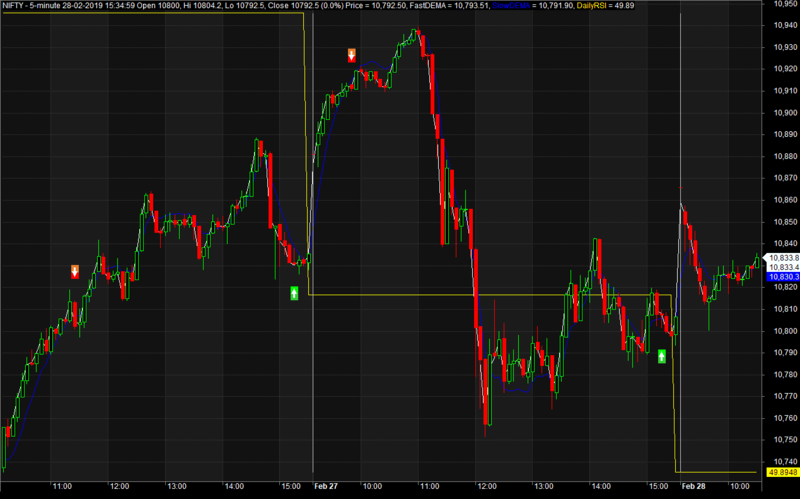 Intraday trading is a mess if not done with a proper strategy. Most of the successful trading systems do not work in intraday timeframe due to numerous whipsaws and false signals. It’s imperative to minimize these whipsaws to build an accurate intraday trading system. We have been testing several day trading systems since last few months and would like to introduce one of the most successful and profitable systems. This system follows the principles of trend following and generates signals based on DEMA (Double exponential moving average). It’s a multi-timeframe strategy and to double confirm the signals it looks at RSI values from the daily timeframe. You may want to check out some of the other profitable intraday trading systems we have implemented in the past at our ‘AFL of the Week’ section. Download the AFL code from the below link. You can simply import this AFL code in Amibroker and start using it. In this system we have assumed a fixed position size of 150. Had it been it was allowed to invest all your profits back into the system, an investment of 200000 would have turned into whooping 25 Billion~ with CAGR of 181%. This system has been consistently profitable every single year since 2010. HI, i am a regular visitors for your site and also subscribed for your amibroker course. 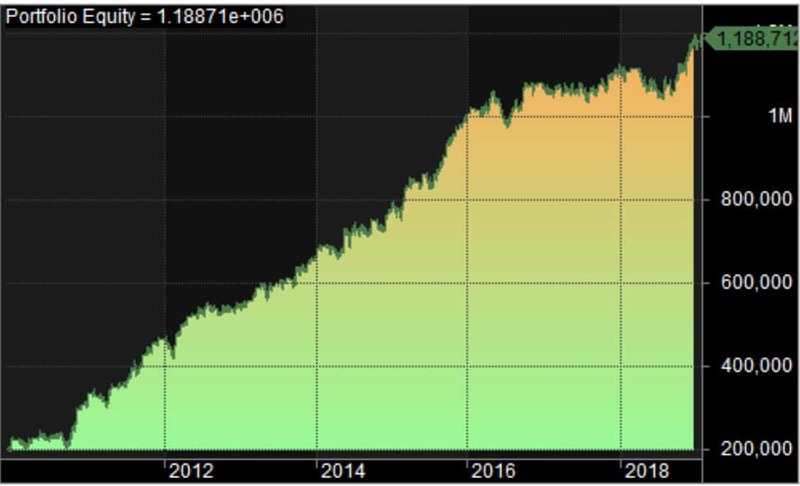 Could you please write an article, how you are doing algorithm trading ? Suppose you have a strategy, how are you going to deploy automate it ? are you using any bridge application to connect to your broker ? if so, please provide us the details. thanks f or your help.